The shutter is very loud. Very loud. 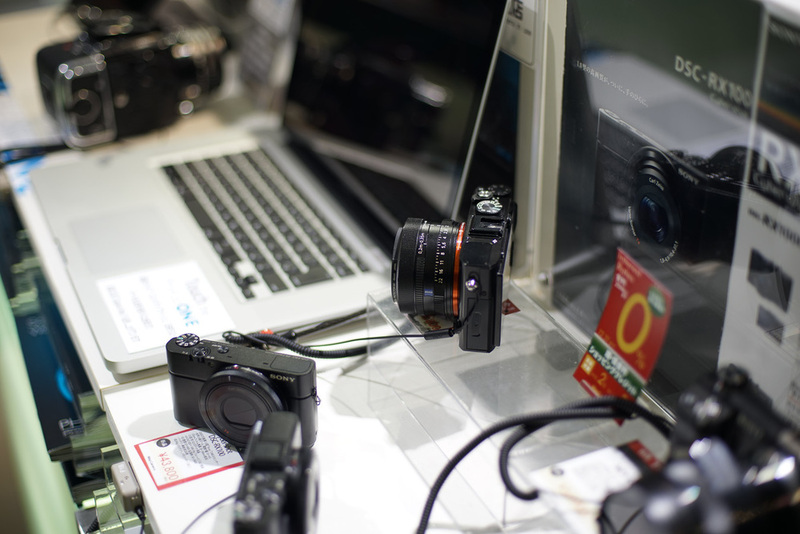 Far louder than my NEX-7, and obviously the RX1 (which is near silent). It sounds like a DSLR. 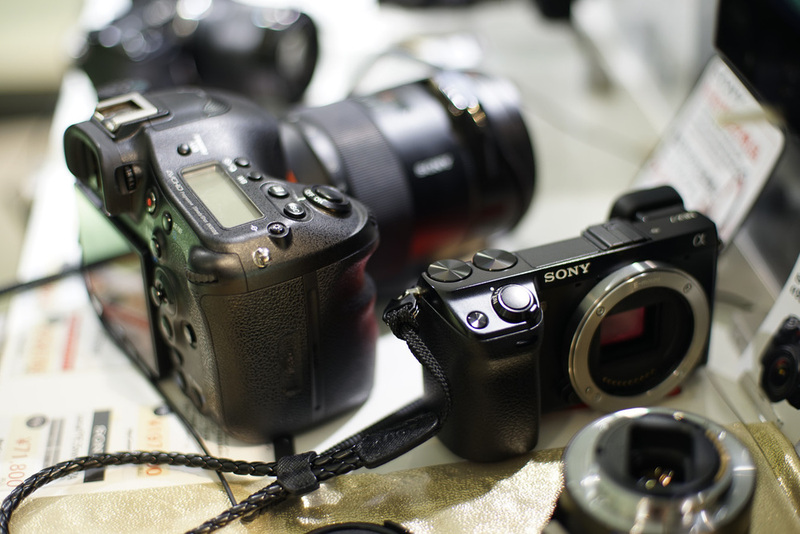 Though the cameras are almost the same in width, the grip does not extend as far as the NEX-7 from the body of the A7R, because the camera body is thicker. 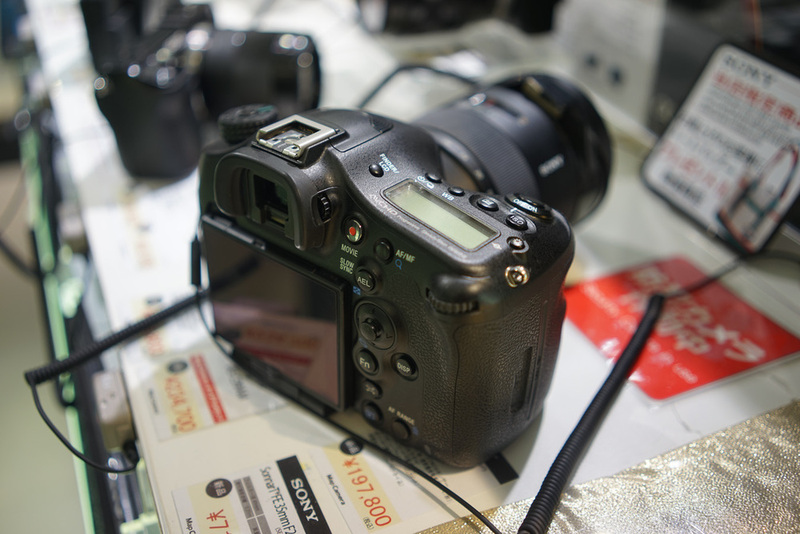 This means that the grip felt less substantial than the NEX-7, but obviously far more substantial than the RX1. With only the minuscule 35/2,8 available right now, a large number of A7R purchasers will be making use of a huge benefit of the Sony E-mount mirrorless system, namely its ability to use almost any lens from any other camera manufacturer in order to quench their multiple focal length thirst. 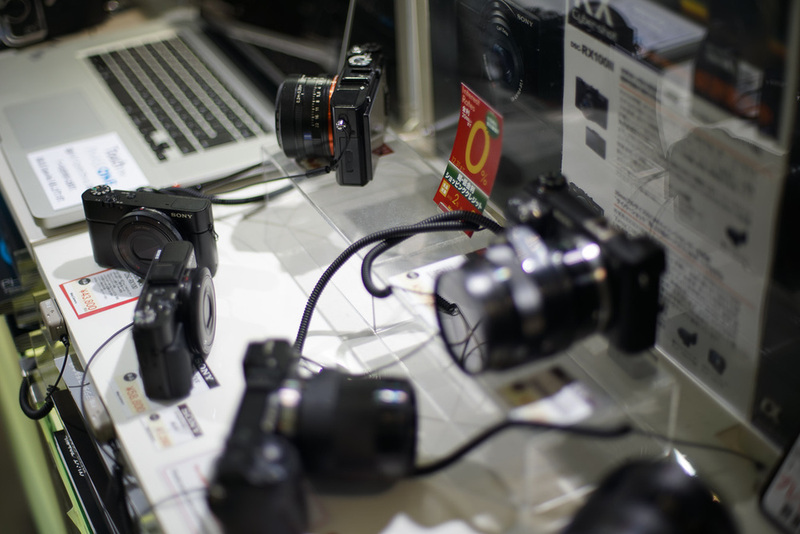 Possible mount adaptors include Leica, Nikon, Canon, Contax... the list goes on. There are a multitude of adaptors on the market for mirrorless cameras, and I own a few myself. They're relatively inexpensive when compared to either native lenses (many 'legacy' lenses are manual focus), and many simply don't have a comparison (e.g. there is no native 85mm lens on E-mount). There's a kit zoom, available as a package with the Sony A7, and a magnificent looking 55/1,8 lens coming in January 2014. Gosh, it's almost 2014... 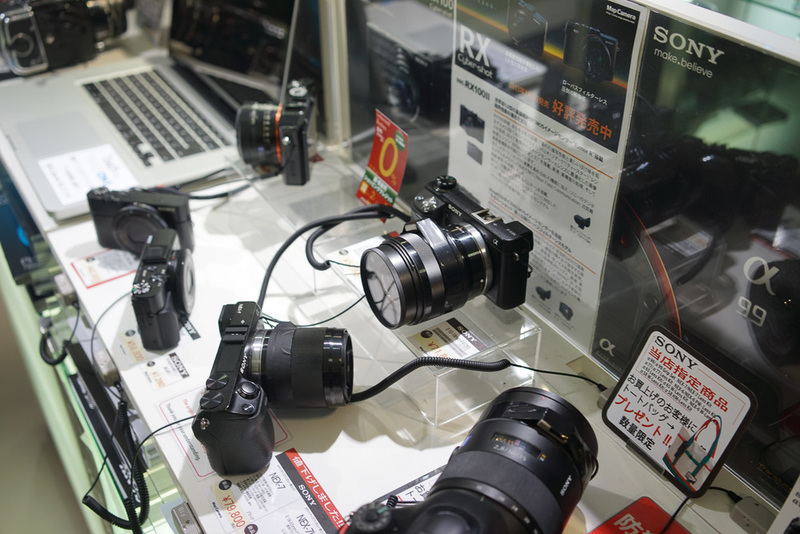 Anyway, many people will be using the A7R with legacy lenses, and if I were buying the camera, I would be too. To this end, I wanted to have a play with the camera and my Canon new-FD mount 50mm F1.4. 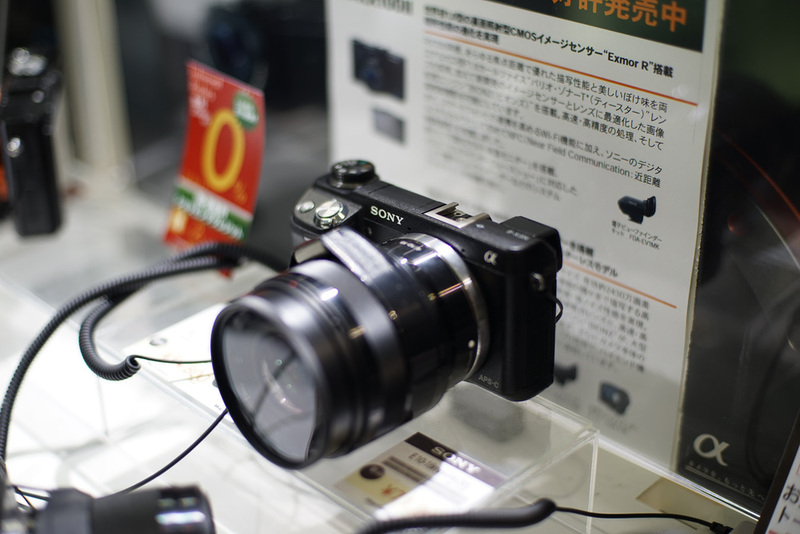 I removed my Canon nFD 50mm F1.4 lens from my NEX-7, and attached it to the A7R. The balance felt good, but the main thing I noticed was a slight weight increase, and a reduced grip surface area (when compared to the NEX-7). Upon inserting my SD card, the camera helpfully told me that my SD card was PAL formatted and as this is an NTSC camera, it will format the card for me. Fine, whatever. I shot in JPEG mode as I don't currently have a suitable RAW convertor. Actually, I shot in JPEG mode because I didn't think to change the setting, and just fired off a few shots. I also had a play with the 35/2,8. Nicely built, and though it did not leave me with the same "wow" as the RX1 -- the resultant images are very nice. I would recommend this lens with the A7R. I also noticed that the 35/2,8 has a minimum focussing distance of 0.35m (worth bearing in mind if you take a lot of close up shots). Final thoughts? Well, it's too early to say. 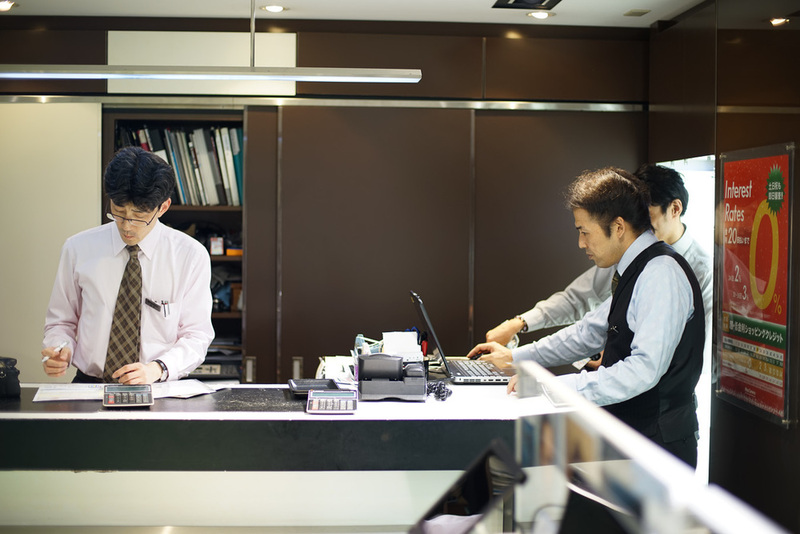 The camera has a nice heft to it, a very solid feel in the hand, and a much improved menu system over the NEX. Compared to the NEX, the only real issues are price (though it's extremely good value) and (ironically) a lack of FE lenses. I say ironically, because just as the NEX E-mount gathers steam and complaints over "lack of lenses" die out, Sony pulls the same move again! However, I could imagine just using the 35mm lens on the A7R, or maybe some legacy lenses, and being very happy for a good while. That 55/1,8 cannot come fast enough! Compared to the RX1... now that's a different kettle of fish. They're really very different cameras, and could quite happily live side-by-side in my camera bag. * Please note that all photographs were taken in JPEG mode, as I do not have an A7R compatible RAW convertor. Contact me if you'd like full-sized JPEGS... I took over 250mb worth!